The following questions were posed by a Muslim (name withheld). Although an answer is provided below, you too are encouraged to provide your feedback and arguments. Questions: I am a Muslim but I get distracted by thoughts such as how do we know that Allah is the “God? Although I do believe in a supreme being, why do I have to practice Muslim rituals of worship (or any other forms of worship)? What about people who say that religion is our personal affair where I can establish my personal relationship with God and therefore there isn’t any need for any specific worship practices? Why not simply pay attention to the basic rules of humanity? I see people who supposedly follow all worship practices only to engage in behavior not sanctioned by Islam. “Guide us to the Straight Way” (Surah Al-Fatihah, 1:6). As Muslims, we, therefore, should constantly (a) pray to Allah to open our heart for true guidance, and (b) seek knowledge that can clarify our suspicions. Who is the true Deity / God? What is the “truth”? What follows assumes that your belief system lies within the boundaries of what’s referred to as “Theism”, meaning that you not merely believe in a “Supreme Being”, but you refute any anti-theistic theories of Atheism, Polytheism, Hylozoism, Materialism, and Pantheism. That is so because if you lean to any such anti-theistic theories, then the discussion would need to tread a different path altogether. So, given that you believe in a higher Deity that created everything and controls all aspects of this creation, and to whom we will all return, wouldn’t that make it our solemn duty to find more about that deity? And if you do believe in the existence of a “supreme God”, wouldn’t you associate “truth” to that God alone? Since time immemorial man has sought to find the truth – the truth about creation, the creator, our soul, morality, etc. Philosophers such as Plato, Socrates, and Aristotle wrote volumes exploring the need for the right laws and the role of intelligence in law-giving, philosophy, religion, politics, education, distinction between right and wrong, and so on. That all happened because we humans are curious beings with our DNA programmed to explore, search, investigate, ascertain, and at the end, to formulate our own conclusions about various truths. So, thinking along the same lines, given that we recognize a supreme God, why not then commit ourselves to find the truth of that Supreme God? If we believe that God is indeed powerful, wouldn’t it behoove us to investigate what He has commanded, what He likes, dislikes, etc.? How can we put our innate desires to sleep by simply ignoring our curiosities to know who that God is and what that “truth” is? More than that, how can we take the risk of ignoring what He may have said about what our purpose in life is and what we as humans need to do during our short stay on earth? To address some of your questions, the following are some of the points that Islam and the Quran has defined. Each of these can be a topic for further elaboration but can’t be fully elaborated here due to constraints of time and space. The Quran and Islam have defined the rules of “humanity” more than any other religion. The followers of Islam follow those rules and truths because they are part of the very core of Islam. Although most of such rules are commonly accepted by the general humanity, not all of such rules are included in the divine revelation of other religions in such detail and substance as Islam defines them. These rules encompass protecting the rights of individuals fulfilling various roles, justice, poverty, equal rights, peace, and so on. God in Islam (Allah) has provided for us channels and ways to communicate with Him to enable us to build a personal relationship with Him and to reinforce our conviction in Him. Regarding the statement, “religion is our personal affair, so there isn’t any need for any specific worship practices,” how then would you engage with God to build that relationship? If you are going to devise your own ways (rituals), then why not instead follow His prescribed ways to reach out to Him? Why should there be any resistance to such prescribed worship and practices? It is a fact that some people (a minority) engage in objectionable behavior in the name of religion or as the followers of that religion but we should recognize that those so-called followers of the religion are driven more by their selfish motives and interests rather than by the convictions in the divine that they should have nurtured within themselves in the first place. Such people, therefore, shouldn’t make us lose hope and abandon the pursuit of the truth. As Muslims, we believe in the truth of Islam not only because of our belief in Allah and His teachings, but also by reading and understanding what is in the Quran. For example, we see in the Quran, (1) how Allah explains why is He the One God, (2) various teleological, moral, cosmological, and other arguments about the existence of Allah, the one God, (3) how Allah directly addresses other major religions (Christianity, Judaism, Hinduism, etc.) and challenges those beliefs by providing counter arguments, (4) how Allah provides truths that make perfect sense and provides arguments to disprove people’s doubts, (5) how Allah, rather than simply providing the truths, provides a framework to implement those truths (through certain practices), (6) the challenge to find discrepancies in all of the presented truths in the Quran, (7) the use of an active language to “speak” to humans which persuades us to listen to what the message is, (8) a man’s innate need to find the truth and how the truth that He is asserting is the answer, (9) assertion of the self-evident truths that some humans may ignore and reject simply to prove the idea of God, religion, and Islam wrong, (10) challenge to humanity to use their faculties of intellect and other skills to counter arguments that surface in one’s mind, (11) stories of nations that the world is beginning to find out for the first time in history, (12) scientific facts of about 1500 years ago that are being brought to light only now, and (12) the picture of a Deity clearly asserting His role as The God. The above provides only a small glimpse of what is in the Quran. Reading the accounts of many who have converted to Islam, we see that they recount the above reasons and more. These are good reminders for us too as Muslims to reinforce our beliefs and also should also serve as food for thought for those who want to pursue their personal efforts in finding the truth. The questions you raise are bound to surface as we go through life’s trials and tribulations and in the overall process of strengthening our beliefs. The weakness in our faiths can cause us to stumble and to question the “truth”. During that process, let’s constantly remind ourselves that within the Quran, Allah has taken the direct responsibility of being the sustainer of the world and to provide His help. But that also comes with a condition. So long as we humans don’t engage in behaviors and practices that disrupt the overall order, peace and His underlying laws, we can expect to have that helping hand sail us through our voyage on this earth. God will provide us calmer seas and tranquil waters but that will work only if we humans use our faculties to build strong ships without drilling holes in our own ships. No one has said that finding the “truth” is that simple. Understanding the truth and ascertaining its foundations does require motivation along with a logical intellect that can help us to sort through the philosophical, moral, and other arguments. We shouldn’t, therefore, relinquish our efforts to gather all the facts and evidences for finding the truth. In the end, however, the real answers will have to come from within you. Yes – you may have to dive deeper to find those answers but that will be more rewarding than forming quick conclusions. Remember, we can’t find out more about the deep sea fish by merely staying in shallow waters. Finally, let’s pray that Allah provides us the ability to see “truth” as the truth, and “falsehood” as falsehood. The prophet taught us a Dua that is along the same lines. What are your opinions on the above? Share your feedback with others below. Also, don’t forget to rate the article. 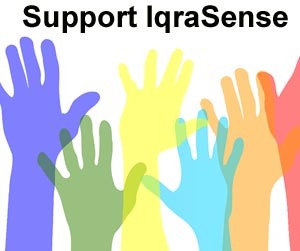 If you are not on IqraSense.com’s Email list to receive regular updates, please click here to signup. JazakAllah Khair for all the clarifications you’ve provided. One thing that becomes clear from the question asked is that if we are fortunate to have Faith in Allah, His Prophet (S.A.W.S.) and in Islam, let us not take this faith for granted, because we can never know when Satan will start disturbing us by posing all sorts of questions. 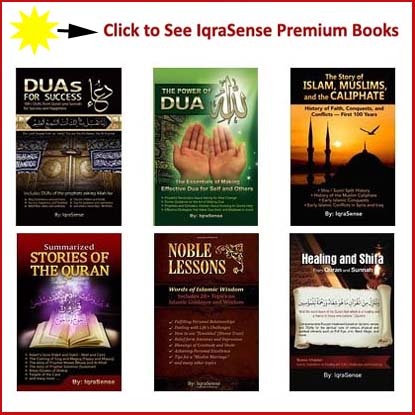 You’ve rightly said that “As Muslims, we, therefore, should constantly (a) pray to Allah to open our heart for true guidance, and (b) seek knowledge that can clarify our suspicions.” The aim of Iqra Sense is to make readers ‘Observe, think and transform’. May you succeed in your endeavour and may Allah accept your services. We should all pray to Allah to Guide the Muslim brother who is beset by doubts. Aameen. Shukran. Alhamdulillah. I converted to Islam approximately three years ago. I have constantly had question after question concerning my faith. But God (Alah) always provides me the answer. Either through Iqra Sense, the Quaran, or my husband. May God bless him. Eventhough, I am going through some really trying times with my marriage and with my family, Alah is constantly teaching me and showing me the right direction. Praying and following the rituals help me and give me strength to continue on. It gives me the closeness to Alah, that I need to have strength and courage to face the next day. Praising Alah and praying to him (from your heart) will give you the answers you are looking for. I have found through studying the Quaran and searching for your answers through the websites, or asking another muslim brother or sister, Alah will show you the correct answer to your questions. The metophor of prayers and rituals being like speed bumps in our life is so correct. Sometimes we must slow down alittle bit and listen for Alah to talk to us and provide us the answer. Good luck and may ALah go with you. As you said you believe in a supreme being, I’m sure you also believe in Creationism. So, if you believe in Creationism, you must believe that the supreme being is The Creator of the Universe and everything in it. Now, if you want to find out who is the Creator, you must read the holy books (the Divine revelations) to figure out for yourself the True God and the True Religion. Now, I don’t want to sound rude… but, being a Muslim, if you had a sound knowledge in Islam, you wouldn’t have asked the above-quoted question in the first place. Islam is not a new religion – it is in essence the same message and guidance which God sent to all His Prophets through the ages. It is the culmination of the message sent by Allah to the Prophets of old – through Adam, Noah, Abraham, Moses and Jesus (peace be upon them all), and completed and perfected through Muhammad (peace be upon him), the last Prophet sent by Allah. The message in the Qur’an that was revealed to Muhammad (p.b.u.h.) 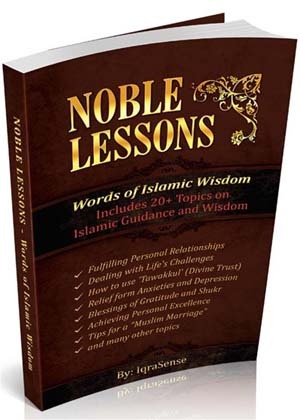 is Islam in its comprehensive, complete and final form. My suggestion for you would be to start reading the Qur’an (along with it’s translation if you don’t know Arabic) and you will soon discover all the miracles of the Divine Revelation sent to Muhammad (p.b.u.h.) from the Almighty, Allah (s.w.t.) over 1400 years ago. Insha’Allah, the miracles of the Qur’an will help you to understand that the Qur’anic messages are not from a human but from the Supreme Being. “And whoever seeks a religion other than Islam, it shall not be accepted from him, and in the life to come he shall be among the losers.” [Quran 3:85]. Hope the above true versus from the Qur’an answers all your questions. Salam! All Praise Be To Allaah Alone and May Allaah’s Peace, Blessings and Mercy Be Upon His Beloved Prophet, the Best of Creation, all of his Companions, Family, Wives and Righteous Muslims till the Day of Judgement. Ponder over these verses and you will have answers to all your questions. The perfect harmony and order universe is proof Allaah’s Monotheism. Now how many religions are truly (YES TRULY) based upon monotheism. NONE. At most you will find some agnostics who believe in Allaah but will never worship or obey Him. What is purpose of believing in Allaah when one does not want to obey or worship him. That is insulting Allaah. All Praise Be To Allaah, Islaam is free from all blemishes, after more than 1400 years, it is still intact and has not been corrupted by the change whereas all other divine books were changed in form or the other. So there is your answer. Also if you observe the word Allaah in Arabic, notice that this word can not be tampered with. In the case of the word God, it can (Allaah Forbid) gods, goddesses, godmother, godfather, etc. Whereas there is no plural for Allaah in A’rabic, that this one of the beauty of this name. Brothers and sisters- It is not necessary for ALLAH SWT to prove his existance since this wonderful world and huge universe are themselves proof of his existance. It is for us to prove our faith by praying to HIM for guidance, mercy and HIS forgiveness for our sins-be it small or big. I have experienced a persinal miracle which has strenghened my faith and has made me worship HIM If your faith is absolute HE gives out of his mercy your basic equirements to lead a sin free life. Why do we take a bath daily? can the mere thought of bathing not cleanse us? You see brother, I hope you are reading this. I may not be able to quote much, but Allah is most merciful, compassionate, loving and forgiving. We bathe daily to cleanse our bodies. Don’t our souls need to be cleaned too? I do believe that by performing perfect wudhu, besides just performing your daily salaah, sit with the Quran and read the messages it gives, trust me when I say that the inner peace you will get from doing that you will not get in any gym, or listening to any music, or anything else. Allah is great! Only Him deserves to be worshiped and in Him we should put our trust. Thank you for this beautiful work. a fair understanding of the universe and the eternal laws governing the universe should be able to point to a supreme being worthy of worship and unconditional submission to His will. repentance forsaking the sleeping bed.Insha’ALLAH it will be a good remedy for discarding negative thoughts. May the Almighty ALLAH(SWT) help us all to increase our faith in ALLAH (SWT) Ameen. I felt touched by his revelation of the existence of Allah SWT. Let him take it a duty to read suratul Baqara daily. This will strengthen his faith and Iman. He should also learn to supplicate to God Almighty. There are so many Islamic channels especially Huda where he could hear and listen to many educatibve Islamic topics. Indeed “whomsoever ALLAH guides no one will make him go astray and whomsover ALLAH allows to go astray no one can guide him aright”. My dear Brother, you should read more about the Islamic literature and less of the aptly write ups mostly authored by unIslamic minds. Constantly recite the Holy Qur’an the undisputed proof of Islam, Monotheism and the truth of the Prophethood and Messengership of MUHAMMAD (S.A.W.). Always recites Surah Al-Fatiha, and in your duas always invoke particularly Verses 5 to 7 of the Surah Al Fatiha, In sha Allah you will be guided by ALLAH to clear all doubts and thoughts that originated from no one other than Shaitan – the Accursed. If you know that there was no modern technology back in the days of the revelation of the Qur’an, and you read and ponder over it, you’ll realize how could they know about things like Surah Al-Hadid(iron), and the seven heavens, the formation of the child in the womb by stages, there are so many proofs that I can’t name them all, I would suggest that everyone watch the documentary miracles in the Qur’an, If that can’t help you then you are one of the people whose hearts have a seal on it and only Allah(swt) can remove it, so seek refuge in Allah(swt), that he may open your heart and mind to witness the truth. I don’t think it’s wrong to have questions or to ask questions regarding God or Faith. The truth is, in the translation of the Qur’an, it says that the rightly guided people are those that either use their reasoning to understand Islam or they pay heed to the instructions/warnings provided in the Qur’an (I apologize that I can’t quote the verses as I am recalling from memory). In order to use one’s own reasoning to understand Islam and God, I think it is only natural that one may have questions that are not immediately answered. If anything, this shows to me a desire for knowledge. And if these questions are correctly answered with the Truth, then Faith and submission will naturally follow in the place of confusion. This is because each human being, I believe, is born with an innate sense of understanding and recognizing the Truth. As for whether Allah is the “God”, I think this question is a repetition, and has already been answered by the asker. God is the word that English speaking persons use when speaking of the Supreme Being. Allah, which if I am not mistaken is derived from the words Al Ilah, is the word that Arabic speaking persons use when speaking of the Supreme Being; and it means The God, emphasizing on the Unity of God. Therefore, if the asker believes in the Supreme Being, s/he already believes in Allah or God. What name one chooses to address the Supreme Being is their own preference I suppose, but it doesn’t change the meaning. However, as the English word God has many derivatives such as godfather, goddess etc. I prefer to use Allah when speaking of the Supreme Being. – One example can be found in Surat Al-Alaq. In it, Allah says (the translation of the meaning) that our Lord created man from a (mere) clot of congealed blood. The study of embryology says that when the sperm and the ovum first come into contact it forms a zygote which multiplies in number and becomes a mass of cells known as the embryo. This mass of cells then attaches to the mother’s wall of the uterus from which it derives nutrition and oxygen. In other words, this embryo (congealed blood) can be thought of as a parasite which acquires its nutrition from the host organism (the mother), and a translation of the Arabic word Alaq is a leech, which is a human parasite. Embryology is a fairly new study in life science, and has not been known during the 1400’s. – In the same Surat Al Alaq, Allah says (the translation of the meaning) that if man does not desist (from thinking himself independent, denying the Truth, etc. please read the complete Surat for more information on it) Allah will drag him by the forelock. My mac dictionary says thats the meaning of the word ‘forelock’ is a lock of hair growing near the forehead. That is a simplistic meaning I think of the word forelock. The human brain is divided into several lobes, of which the frontal lobe is by far the most advanced of all. It is the lobe that makes a human a human, by allowing such superior functions as abstract thinking, planning, decision making etc. (all of which are markers of human intellect). It is however, also the lobe that chooses between wrong and right, therefore, it makes sense that in the Qur’an it says Allah will cease man by the forelock or frontal lobe and none other lobes. – In a verse in the Qur’an (which I apologize that I can’t quote as I am recalling from memory), Allah says (the translation of the meaning) that those of whom Allah blesses with long life, He returns them to their previous conditions. It is common knowledge that old age has often been compared to a second childhood as people lose many functioning abilities that mark a person as an adult. Many bodily functions also deteriorate with old age, such as urinary incontinence and loss of balance control. Young children have problems with these as well. The cerebellum is the part of the brain that is responsible for balance control. In young children, the cerebellum in under-developed, which is why they have trouble with standing up etc. In old people, the mature cerebellum begins to degenerate, which is why they also have trouble with balance. Therefore, the verse of Allah in the Qur’an is true down to a cellular level. If one can establish in their minds that Allah is the Supreme Being from scientific facts, then everything He says in the Qur’an is true. Then, it seems logical that the Qur’an should then be followed in its entirety. There are countless verses in the Qur’an that one who has established Faith must observe regular prayers, fasting, charity, among other things. The truth is, I don’t know myself why Allah has prescribed these for us. I mean, I know fasting has many health benefits (such as that caloric intake control is the only known method of elongating life) but surely the reason for fasting should be greater than only health benefits. And if mankind didn’t know for these 1400 years that when in Surat Al Alaq Allah said man was created from a clot congealed of congealed blood He was referring to the embryo, isn’t it also likely that there are many more things we will not be able to understand the complete meaning of for another 1400 years? So if we humans with a lifespan of say 100 years wait to find out the complete meaning of everything in the Qur’an before we can bring ourselves to observe them, it’ll surely never be a reality. I do believe that there is no harm is wanting to know things, in fact it is prescribed in the Qur’an to know God through reason. However, human knowledge has a limit, and Divine Knowledge has none. Therefore, it is utterly impossible to try to know everything. Therefore, I think we should aim for a balance. Know some, follow some. When we’re applying for college, we have to observe deadlines, we have to submit only the documents they ask for, in general, follow their guidelines. Therefore, to me it only makes sense that the Supreme Being should outline guidelines for man to follow when seeking Him and harmony in life. And a few individuals with their personal agendas surely cannot be representatives of Islam? Allah has clearly said in the Qur’an that there are hypocrites among followers and there are those that observe ritual prayers for show. Allah has also said to ascertain the truth of information received for oneself before accepting it as truth. Having said all these, I think it is only proper that I should mention that I am a Muslim by birth, and a Muslim by choice. However, I have trouble following all the things that Allah has mentioned in the Qur’an. Some days I lose hope of Allah’s Mercy. Other days I am reminded that Allah has been most kind to me when I couldn’t find help anywhere else. I’m sure Allah will accept the best of our actions and intentions if we are earnest and sincere in our attempts, and the other times Insha’Allah He will forgive. And it is indeed a personal relationship with Allah, but it has rules and regulations like most other things in life. Please note: everything mentioned here is from my own knowledge and personal observances. Some information has been gathered from my readings online etc. I am not a scholar of Islamic theology. The only reason I thought I should comment to this post was because I used to have similar questions in mind, and many of them have been answered. And so I wanted to share. JazakAllah for sharing. Our prayer should always be, May Allah preserve and strengthen our Imaan. Like you’ve rightly said, “Human knowledge has a limit, and Divine Knowledge has none”.So depending on that Divine Knowledge we should constantly try to silence whatever questions or doubts may arise and make an effort towards total sumission to Allah. Being on the right track, NEVER lose Hope in Allah’s Mercy. Aim at obedience, work towards it, and trust Allah to take care of you. Always remember that Islam is a religion that encourages positivity in approach and application and that the Prophet (S.A.W.S.) has said that the situation of the true Muslim is always good – when afflicted with suffering he is patient and prays to Allah and earns Allah’s Pleasure, when happy he thanks Allah and again earns Allah’s Pleasure! You should consider yourself fortunate that Allah has enabled you to seek answers to most of your questions and is keeping you on Sirat al Mustaqeem. salaam. so, a person can’t belive and worship without rituals? where in Allah’s message, the Quran, does it specify how many rakaa to do? there are dire warnings in our book about those who chase seekers away from the truth via the imposition of Arab-centric/Arabian rituals! is it not the truth that Allah sent us the message as a mercyt and a healing and a warning? who of you knows how many rakaa abraham did? then tell me where to find it in the Quran, and I will do it. Until then, I will continue to read, and to pray, and be an living example of charitry, humility, and love for Allah. Assalam-Alaikum – Islam is about following Allah’s commandments in the Quran, one of which is to follow what the prophet told us. We take all our worship practices (Wudu, Prayers, and details of so many other practices) directly from authentic sayings only. There is a whole science behind authentication of prophet’s saying and almost all Sunni scholars from the time of the prophet until today have agreed on it. You can always find some of who would disagree on various aspects but the majority of early scholars / Ulema (refered to as Jumhoor) that most scholars today follow agree on the prophet’s authentic sayings. That (Quran and Hadith) is what defines Islam. 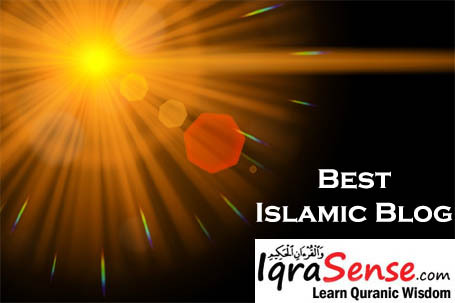 That is why the sunnah of Rasoolullah SAW and the QUraan go hand in hand, because the QUraan cannot be merely understood by a mere man, if you believe in Meraj ( when Rasoolullah SAW met with Allah Almighty), and we were given five daily prayers, then you should also understand that wudhu, ghusal, performing of namaaz, etiquettes in doing so are all part of the sunnah.therefore we have to use the two hand in hand so as to always be guided. SALAM,Please read the quran always and follow it teachings to your own capacity.and seek ALLAH’S guidance always. This is a well crafted response, made in a simple approach for the questioner and anyone that harbors a similar concept. May I say that a person who believes in a supernatural deity has also already gotten one leg into Islam, unless he/she wishes to withdraw it. For instance, if this fellow is to find himself in space, to see the galaxies, wouldn’t he wonder why such deity will bother to creat such a complex without purpose. The same can be said about the earth and it’s inhabitants. So, if one is to keep believe personal, what does he/she do in life unguided? I see the fellow involved in ungodly things that are likely to hurt man and humanity. However if the person is poised to doing good, he will find himself following the book. Then I say, why don’t you just go by the book, QURAN. The basic of the true faith which was given to man from the very first creation of man was that ” there is no other god besides Almighty God (Yahweh, Allah)” and hence it is our unqestionable duty and obligation to worship and serve HIM only, do good works to our fellow man, and believe in the Last Day when all people and all things shall return to Almigthy God and none of us on that Last Day will be wrongly judged and no intercessor can save us from HIS judgement. Last but not least, Almighty God only gave man one religion from the beginning of creation, and that religion or way of life is that we must worship and serve Almighty God only, because there is no other god besides Almighty God. Hence, any worshipping situation which mixes or associates Almighty God with partners, such as begotten son, trinity, idols, graven images, statues, voodhoo, witchcraft, “Jesus is coming again”, (mpbh), saying “thank you Jesus”(mpbh), the cross etc., is totally evil and it attracts, consciuosly or unconsciously, evil forces which in turn result in serious negative consequencies such as illwill, sickness, hatred, violence, non- Godly guidance, and a host of other dangerous consequencies, for which we only have to blame ourselves, because we have degraded and reduced ourselves into sects and cults. Assalam Alaikum! 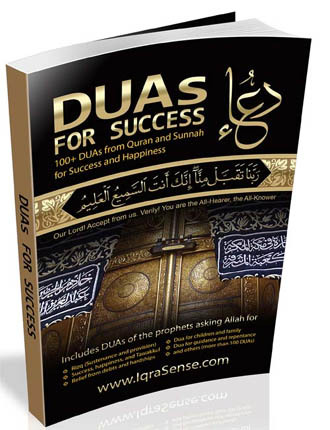 Many thanks to the Almighty ALLAH to help me hearing and reading this! Then I’m going to thank the writer, editor, etc… of this article! Thirdly we need to provide a big and a higher (kind) prayer for our brother/sister in this case! As we know the truth comes slowly (by stairs), but the lies come fast enough (lifter). We are surrounded by many people of different belief, especially in the Western and some of their churches become like companies because they are trying to do their best to make sure they spread their words to anyone (like the way the propaganda is done). And if you don’t really go deeper in trying to conserve your holy gift given by the CREATOR, you may start asking yourself the unusual questions. I may think that the brother or sister has been challenged and wasn’t really able to defend him/herself for some reasons. The real defender of a Muslim is the HOLY DISH in which we’ve put our gift in (i.e. THE HOLY QURAN) Try to visit and flick it and you will see how yummy and right your gift is!!! We need to not forget to pray for others who need our help for the sake ALLAH. Assalam alaikum! Sometimes before giving the answer we should analyze the question, straighten it and then answer it. I will answer it by giving the following example..
1. Why i have to work 5 days a week and not 2 or 3. I would like to work it out for myself. 2. Why should i follow your company rules i will make them by my own. 3. Why i have to work from 8-15:00 hrs why not from 16:00 to midnight. So now we can see that sometimes such sort of questions doesnt make any sense. As we are not in a such a position to ask that kind of questions. Now coming back to the topic. The person who is asking these questions, i would suggest him to study the Holy quran with good intentions and intellectual approach. Once you come to the conclusion that Quran is INDEED from Allah (SWT), then follow Islam as a whole without asking questions. 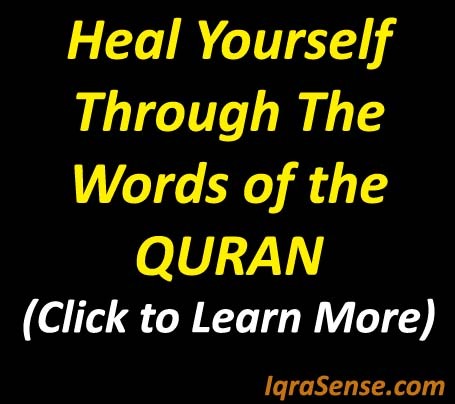 In Quran it is mentioned many many times, that Quran is for those who use their intellect. Hope this might help. As a Muslim I want to say that the great book of Allah (Quran) and Sunat of our great Prophet (S.A.W.S) are best guidance for us and we have to manage all our activities for here and hereafter based on them. Every design has a designer. We live in this beautiful world, there should be a creator of this world, called the creator God or Allah, look at your body – a machine, a computer, it can think, it can feel, it can cry, it can laugh – this is but that Supreme ‘s creation. The Islamic rituals (not muslims’ ritual) are the ways that God himself has prescribed for his creation to have his mercy and this is complete submission to Him and to Him alone. Allah makes our life easy. We have a prescribed systematic way of praying and this is chosen by the God of Noah, Abraham, Issac, Jacob, Moussa, Issa and finally Hazrat Mohummad (Peace Be Upon Them All). Our relationship with God is personal, but religion is not a personal affair otherwise there would be a million way of praying God, some perfect and others imperfect, most not warranted by God. The personal relationship with God has to be built within the parameters established by God himself and thus we shall be obeying his commands and seeking his mercy and blessings. The basic rules of humanity is but a minute area in Islam. We should not try to correct others but rather correct ourselves. We should not look what others do (heinous things) but refrain from doing any act which will harm ourselves, our environment, the creatures. Under cover of religion and for that matter of any other system of belief, there are extremists, there are people who enrich themselves, there are people who exploit others, there are people who sow the seeds of terror, there are people who kills other like themselves. Know Allah, you will be at peace with Allah SWT; know your self, you will be at peace with yourself. In such situations, you should consider having a mentor helping you constantly.. I have not quoted from the Holy Quran any ayat although most of the ideas come from that Holy Book. “Why not simply pay attention to the basic rules of humanity? I see people who supposedly follow all worship practices only to engage in behavior not sanctioned by Islam.” as you said. Rules of humanity are usually embodied in international laws which made by man. And there are lways tendencies of being influenced with man’s own interests and biases and are all vulnerable for corruptions. 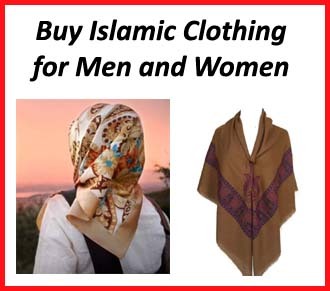 It can also be amended by man to suit the whims and caprices of man any time they wanted to.Unlike those rules and precepts set by Islam which is from a Supreme being (Allah) and His Prophet Rasulullah which cannot be derogated and changed by man at any period of time until the last day. And for this reason we all have the reason to follow Islam or to God and His Prophet in all our undertakings. If ever there are people who are claiming to be Muslims (for sure they are negligible percentage) but their practice are contradictory to the teaching of Islam, it does not mean because they are Islam and are taught by Islam to do so but because they know less about Islam. 1. Abdul-Raheem Green does a 13 part series on peace t.v called The Proof that Islam is the Truth, which can be viewed on youtube. 2. The Deen Show has it’s own website which lists all its interviews with converts to Islam, such as Dr. Gerald Dirks (previous ordained Christian minister and graduate from Harvard Divinity), Dr. Lawrence Brown (American surgeon and previous atheist), Dr. Jeffrey Langs (American mathematics professor and previous atheist) and so forth. It’s inspiring and informative to hear these people discuss the journeys that led them to Islam. Most of them had spent quite some time investigating the other belief systems out there first. 3. Dr. Gerald Dirks wrote The Cross and the Crescent, which is an excellent book that highlights Christian manuscripts that have been discovered throughout history demonstrating the congruity of what Prophet Muhammad SAAS said and what Jesus PBUH said, and the incongruity of that and what the current Christian church doctrine states. As a Christian scholar who has converted to Islam, he highlights the evidence that Prophet Muhammad SAAS was indeed spoken of by the previous prophets, as can be found in ancient manuscripts. 4. Dr. Lawrence Brown wrote God’ed and MisGod’ed, which also highlight the proofs that Islam is the truth, based on Jewish, Christian and Muslim scholarship. 5. Dr. Jeffrey Langs wrote Even Angels Ask, which discusses the same questions you have brought up, along with his own answers based on his reading of the second Surah of the Quran. Chapter 2 of his book beautifully explains how the Angels asked God why He would create man on earth if man was going to create mischief. God replied that He knows what the angels conceal and reveal. The reveal part was that man has the potential to be evil, immoral and cause mischief. The conceal part was that man has the potential to reach high levels of riteousness and morality, which is the purpose of our lives – to continuously strive to be the best, upright people we can be. Who is the best example for us to follow in this endeavor? According to the book by Michael Hart, The 100 Most Influential People, Prophet Muhammad SAAS was the most influential person to shape our world in history. There are lots of great figures in history and neat paths to follow, but Prophet Muhammed SAAS takes the cake by all accounts. Further, nothing that I have ever personally investigated made more sense and was as all encompassing as Islam. 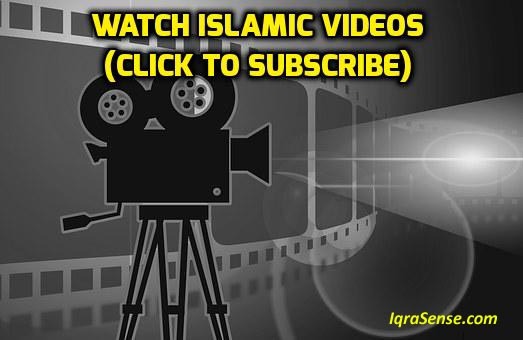 Finally, I personally find Bilal Philips’ series, Forces of Evil, on the Light Upon Light website, to be very informative with regard to what is the true, straight path, as opposed to what is misguidance. He lays is out in a very rational, logical manner which I have found to provide me with enduring inspiration to follow Islam whole heartedly, Alhamdullilah. I forgot to mention Dr. Maurice Boucaille’s book, the Bible, The Quran and Science, which also makes abundantly clear that the Quran must have been divinely revealed. 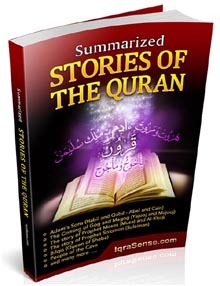 It is statistically improbable that such a book, compiled 1400 years ago in the desert, could have been written by a human being, as the Quran states so many scientific facts that are not only incongruent with the scientific thought of that day, but which have only been proven to be true in modern history. Dr. Maurice Boucaille concludes that not one scientific statement in the Quran has been found to be inaccurate to this day. This is truly amazing when we stop and think about it. The other thing I noticed when I read the Quran, is that it does not seem to be something that Muhammad (SAAS) would have benefitted from writing. I’m not sure how anyone could justify saying that it was man-made, as opposed to being the words of God. The whole book asks us to use our logic, to be observant, and to realize why we are here. It tells us over and over that there will be a life after this life which is for eternity, and which will be determined according to our belief and actions in this life. Personally, I can’t see why any person would write an entire book about this. Finally, if Prophet Muhammad HAD written it and therefore knew that his whole message was made-up and that he was a fraud, why did he give all his wealth away and spend his nights praying and asking God for forgiveness? Who would he have been praying to? In other words, after investigating Islam, I decided that it makes far more sense to believe that it is the truth from God, as opposed to what some say- that it is a man-made religion and that Muhammad (SAAS) made it up. And if, after our investigation, we come to the conclusion the Islam is the truth from God, I can’t think of any reason why we would want to follow anything else, which are obviously man-made belief systems. May Allah guide us all to Jannah. I conclude, ‘Allah truely loves me”. Though I had my faith learned from my familial teachings, my present state strongly teaches me the correct answer! May Allah bring the faith among countless Muslims and non-muslims! Oh my! Alhamdulillallah, someone had the courage to say he has questions. I have had questions, very, very similar if not exactly like the ones you posed. When I mention them, I am accused of being a Non-Believer, and a fake Muslim, only pretending. Ugh, I felt so slandered that I learned to keep my mouth shut. As a revert of reasonable intelligence, I have been thought to “ask” questions. It is not a sign of disbelief, or anything else negative. I just want to know. I have been on the quest of learning. But here, you brought such up, and the response was so so so appropriate, and now I am at peace with my Deen. Thank you for your courage. I was talking to my husband once and I mentioned much of what you said in question, he was so profoundly angry with me. Not one time did he tell me anything other than he was disgusted with me and my way of thinking and he wanted little to do with me until I change my ideas. What ideas? only questions. What you mention about the attitude you receive from others when mentioning you had questions, I have felt the same response directly or indirectly also. I don’t suppose everyone will ever completely agree upon this matter whether it is alright to have questions, as the act of questioning seems to have intonations of rebellion or disbelief. I personally don’t (or try not to) feel badly by such a response for a few reasons. Firstly, I have read in a Hadith that our Prophet (saws) had instructed Muslims to choose to understand the positive meaning when interpreting other Muslims’ opinions. As we all have the same belief structure, we are united by a far greater cause (our Faith) than our individual differences. Furthermore, it is repeated several places in the Qur’an that it is a Book of instruction for those who have understanding. Thirdly, if we reflect upon the history of the Prophets themselves, we will see that they were men of understanding who were able to discern between right and wrong through reason. The Prophet Ibrahim (pbuh) was so angered by his people worshipping idols that he had taken it upon himself to destroy the idols the pagans worshipped. And the Prophet Muhammad (saws) was clearly displeased with the pagan traditions of his time that he had sought out isolation from everyone to meditate and reflect upon the Truth during the hottest months of the Arabic peninsula. Therefore, using one’s understanding to know the Truth I feel leads to strengthening of Faith. However, as Shaitaan is an avowed enemy to man, I do believe it is easy to err when contemplating about such questions, if not Guided by Allah (swt) to the Straight Path. I suppose what I’m trying to say is, it seems to me with my very flawed knowledge and judgement, that it may not be wrong to have questions. However it is of utmost importance to seek the Creator’s guidance to be guided to the Truth when doing so. And finally, may Allah take the best of our intentions and actions and provide for us all that we seek to strengthen our Faith and our submission to Him, as we will be brought back one day and questioned how we had utilized the intelligence He had lent us in this earthly life. Never, ever be bullied into thinking questioning is inappropriate! We are believers of the Quran, the message of almighty Allah, who Himself tells us to read, think, reason,, abnd so forth, and HE DOES NOT tell us to be sheep and “do as others do”; in fact, he tells us that in following others, you, as well as they, are likely to end up in the hellfire, where everyone will then be pointing fingers at each other and saying “oh, I followed so and so’s teachings, and that is how I was led astray”…NO! ?Allah warns us to follow His message, and his message Only! If we are using our head, reading, reading, and re-reading our Quran, being steadfast in prayer, tghat is genuine and from the heart, there is no way that our Most Graqcious, Most Merciful Allah will abandon us, and let us veer off the straight path! ALWAYS think! ALWAYS question! Your “deen” SHOULD be your very life itself-how you live it, how you show love, and patience, and charity, even when it’s not Eid, or ramadan…that is your “deen”, and not how many times you bow, or prostrate, or saqy the Al_Fatiha in a language that isn’t even your own! I have a secret to share-Allah is MULTILINGUAL! May youy have much peace and joy in your life, as you continue your relationship with Allah! All doubts are not inherently bad, especially in belief because it prevents one from blind following and inventing and associating other’s with Divine. But it is not right to ignore them and suppress one’s curiosity because that is what causes the HEART to die. Curiosity is by itself is a gift from ALLAH so that you search for HIM like our father IBRAHIM (peace be on HIM) did. Ponder over the creation around you; look at those animals we consider to be dumb and their intelligent way of living; and then pick up the ultimate book of guidance (the QURAN) and see what it says about all that. Allah is light of the heavens and the earth and what is in them, keep asking HIM to shine light on your doubts in sincere and earnest way. May Allah guide you to the truth and make you honest servant of HIM, Inshallah. In the name of Allah,Most Gracious,Most Merciful. The 1st question was: is God “Allah”? First of all,this means that the brother does agree there is a Supreme Being who created everything but was not created. Afterall,the composition,design & functioning of the universe & life forms attests to the Ultimate Designer & Originator. So if there is a Supreme Being/God,wouldn’t it make sense that He would reveal Himself & His Handiwork? Would He provide a system that supports & nourishes the physical part of us,while leaving out the spiritual,which is even more vital to man? Every human being on earth has a spiritual side that cries out for such nourishment. Would the Creator really provide every life form- from the “simplest” unicellular organism to man himself,all that it needs to survive & also thrive without addressing man’s yearning to know & develop his spirituality? I am sure you would say no,He would provide an avenue,a system that would provide spiritually as well as physically,since if He created us,He must have been the One that put in that desire to explore & understand our spiritual side. Also,Allah has claimed Sole Ownership of the universe & all it contains,not only in the Qur’an but in the Torah & the Gospel (which by the way Muslims also believe in in its pure & unaltered form).ALLAH is the name given to the same GOD in Arabic,the GOD that sent all the previous Prophets (peace be on them all) & the afore-mentioned scriptures of the Jews & Christians respectively. So,if Allah has been claiming Divinity for all this time,from the time of Noah AS to the time of the Prophet Muhammad SAW-a period that spans more than 5,000 years,how come this claim is still unchallenged? How come the real “God” hasn’t stepped forward & said: “Stop! Its not him,its Me!” Why would the real “God” allow an impostor to “misguide” a multitude of HIS creation without uttering a word? Meanwhile,the Qur’an is full of stories of people who dared to challenge Allah & whom He utterly destroyed. Just one example is Pharoah,who claimed he was Allah! Allah tells us not only was he destroyed with his followers,but Allah saved Pharoah’s body as a proof & lesson for humanity – “This day,we shall save thee in thy body,that thou may be a sign to those who come after thee! But verily,many among mankind are heedless of ou signs.” Surah Yunus verse 92. This is a sign (like the Qur’an itself) that is present even today-just take a trip to Egypt & visit a museum! It hardly makes sense that the “real” God would sit around & leave an impostor to “brag”,since the very beginning! I mean, come on! Would you tolerate it? So Allah has revealed Himself to us as our only Lord,Creator,Cherisher,Sustainer & our Ultimate Return;do we really have any other option,viable or not,than to humbly submit? 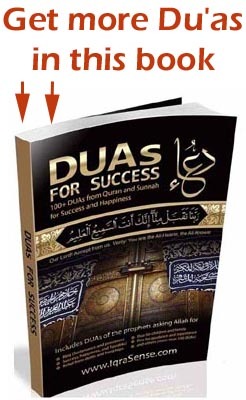 As for acts of worship,we have been told several times in the Qur’an that first of all,it is a sign of our submission to ALLAH, & that they are what build our faith & character,so as to be worthy vicegerents of Allah on earth: “Recite what is sent of the Book by inspiration to thee, & establish regular prayer:for prayer restrains from shameful & evil deeds; & the remembrance of Allah is the greatest thing (in life) without doubt. & Allah knows the (deeds) that ye do.” Surah Ankabut verse 45. Just a few examples of how acts of worship build our relationship with our Lord & with each other:salah (5 daily prayers) reminds us to leave whatever has occupied you to the real success,reminding you that everything (family,wealth,job) have their uses & enjoyment,but the ultimate success & peace of mind comes from opening a dialogue with Allah in all submission & humility. Zakah (charity) trains your soul to use whatever gifts you hav been given by Allah wisely for your benefit & the benefit of others, & to fight against the greed & covetousness of your soul. Tell me,what is a better character-building exercise? All the acts of worship mentioned in the Qur’an & sunnah develop us positively & foster our positive relationships with each other & our physical & social environment. Our acts of worship even deals with animal rights & environmental health! All these so we can achieve perfection in all aspects of life. Bear in mind most religions espouse this strive to perfection but ONLY ISLAM gives you to practical steps to achieve it. Faith is never constant,it either goes up or down. Just “believing” without worship may not be enough because submitting to these orders itself is a proof of faith & is an exercise in faith-because why else would you perform these acts of worship in the first place if not out faith? So submission to these divine instructions strengthens our faith as well as proves it time after time. So these acts of worship in their demand for submission to ALLAH strengthens your faith,is a proof of your faith & builds it up to withstand attacks to your faith. Please turn to the Qur’an to find out what message Allah has for you. As for proof that the Qur’an is the inimitable & true word of Allah,there are many articles,books & testimonies out there as mentioned by Sister Megan (jazakillahi khair). & I highly recommend watching the DVD “The Purpose Of Life” by Sheikh Khalid Yasin,who will do a far better job than I ever could in this commentary. As for Muslims that claim to be religious & still commit evil-come on,brother! If a drunk driver wrecks a Mercedes Benz in an accident,do you blame the driver or the car company? Remember Islam is perfect but Muslims aren’t. This also goes out to any brother or sister experiencing these doubts. Its not having the questions that is the problem,just make sure you accompany your questions with a sincere search for answers from the proper sources-the Qur’an,authentic hadith & scholars with sound knowledge. Allowing these questions to fester will simply leave room for Shaitan to exploit your doubts & steal away your most precious possession – your FAITH. Also make du’a,lots of it! The Prophet SAW told us that faith wears out in our hearts,so always renew it by saying “laa ilaaha ilaallaah” (there is no deity worthy of worship except Allah). Another du’a is “Rabbanaa laa tuzigh quluubanaa ba’ada idh hadaitanaa wa hablaana min laa dumka rahmatan innaka antal-Wahhaab ” (o Lord!Let not our hearts deviate now after Thou has guided us,but grant us mercy from Thee: for Thou art the Grantor of bounties without measure): surah Al-Imran verse 9. You can get many more from the Qur’an & authentic hadith. I advise you,myself & everyone to always turn to Allah whether in prosperity or adversity through worship,seeking for proper knowledge & supplications. Try the Qur’an with commentary by Dr Abdullah Yusuf Ali & please try to watch “The Purpose Of Life” by Khalid Yasin; you will be glad you did. Inshaa Allah,I will remember you in my du’as. & finally,I leave you with this hadith which I think is self-explanatory. Thank you so much for shareing. I was born and raised as hindu. 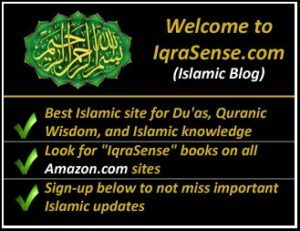 I was introduced to Islaam by my husband. I became muslim 5 years ago. Though I became muslim, i was searching for my faith and I could not connect with Allah. My life path went through upside dwon last couple years. I did not realized that I was missing my faith. Just last week Allah gave me sign and since then I feel like I am connected with god. I have my faith and I am strong ever. One should never question the existence of Allah [swt] Allahu Akbar!